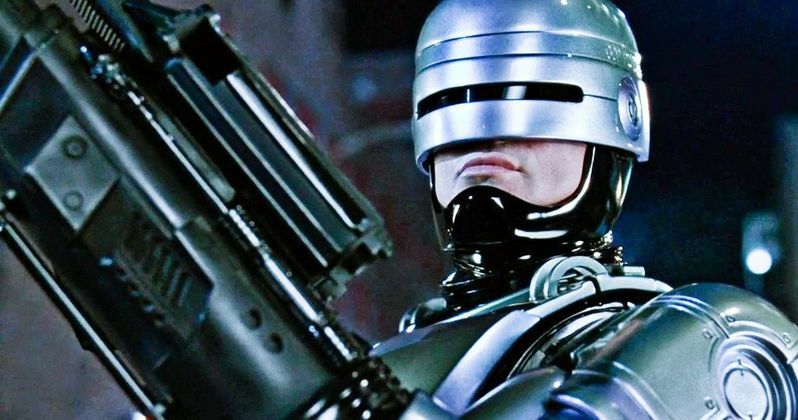 District 9 director Neill Blomkamp has been tapped to bring RoboCop back to the big screen. Unlike the 2014 reboot from Sony, this movie, titled Robocop Returns, will serve as a sequel to Paul Verhoeven's original 1987 sci-fi classic, which starred Peter Weller as the titular hero. The script for this new entry in the franchise comes from franchise creators Ed Neumeier and Michael Miner. Their script is currently being rewritten by Justin Rhodes, who co-wrote Terminator 6. The plot for RoboCop Returns is described thusly. Neill Blomkamp hasn't directed a movie since Chappie, which served as something of a disappointment both critically and at the box office. He was attached to helm a new Alien movie that would have served as a sequel to Aliens, but then Ridley Scott stepped in to do Alien: Covenant, which derailed the project. In the time since, he's been focusing on his company Oats Studios, which has been creating self-financed short sci-fi movies. Blomkamp's previous works, such as District 9 and Elysium, were heavily inspired by the original RoboCop. The director had this to say. "The original definitely had a massive effect on me as a kid. I loved it then and it remains a classic in the end of 20th Century sci-fi catalog, with real meaning under the surface. Hopefully that is something we can get closer to in making of a sequel. That is my goal here. What I connected to as a kid has evolved over time. At first, the consumerism, materialism and Reaganomics, that '80s theme of America on steroids, came through most strongly. But As I've gotten older, the part that really resonated with me is identity, and the search for identity. As long as the human component is there, a good story can work in any time period, it's not locked into a specific place in history. What's so cool about RoboCop is that like good Westerns, sci-fi films and dramas, the human connection is really important to a story well told. What draws me now is someone searching for their lost identity, taken away at the hands of people who are benefiting from it, and seeing his memory jogged by events. That is most captivating. The other thing I am excited by is the chance to work again with Justin Rhodes. He has added elements that are pretty awesome, to a sequel that was set in the world of Verhoeven. This is a movie I would love to watch." The script for RoboCop Returns was originally written years ago as an intended sequel to Paul Verhoeven's original, but it never got off the ground. MGM is developing the project and revived it when MGM president Jon Glickman was tasked with finding franchise material for the studio. "Right when Trump was about to be elected president he called me and said, 'Did you actually predict in your sequel script that a reality star would run for president and win?' We had. So Mike and I wrote a draft and gave one interview in Barbados and I think the only person who read it was Neill Blomkamp, and that set this in motion," says Ed Neumeier. He and Michael Miner are serving as producers on the new movie. RoboCop centers on a cop who is wounded gravely and is turned into a law enforcing cyborg. The movie earned Three Oscar nominations and won for Best Sound Effects Editing. Two sequels were made, 1990's RoboCop 2 and 1993's RoboCop 3. Though, neither of the movies were as well regarded as the original. 2014's RoboCop reboot received a largely negative reception upon its release and ultimately went on to gross $242 million worldwide. We first got wind of a new RoboCop sequel in development in January. Currently, there is no word on when RoboCop Returns will begin filming, nor has a release date been set. There is also no cast members attached at this time. Specifically, it hasn't yet been revealed who will be taking on the role made famous by Peter Weller. We'll be sure to keep you up to date as more information on the project is made available. This news comes to us courtesy of Deadline.